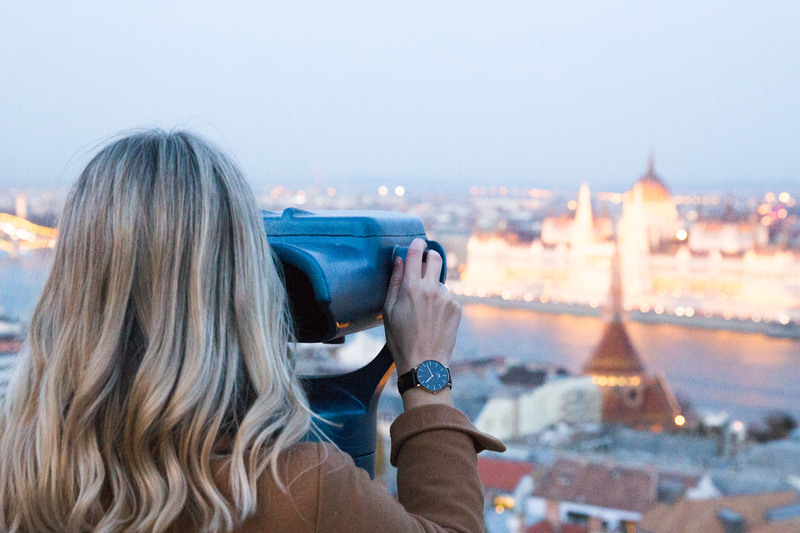 Left to right from top: Taking a dip at the Széchenyi Thermal Baths, rooftop views of Budapest from the Aria Hotel, views of Buda Castle from Széchenyi Chain Bridge, a vintage car in Buda, overlook the Parliament Building at sunset from Fisherman’s Bastion. 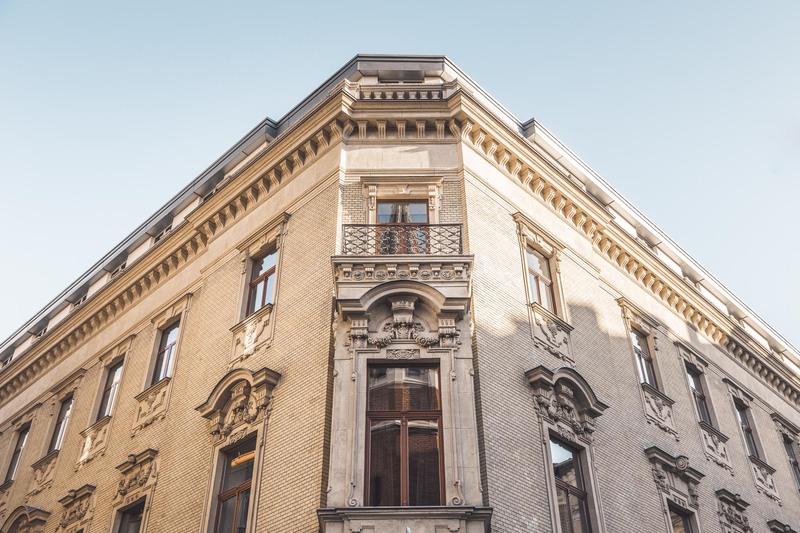 Hotel Palazzo Zichy – located in a quiet street with shops and restaurants nearby, this old-meets-new hotel was a former palace from the 19th century. The staff is unfailingly friendly and the pricing is very reasonable. The exterior of Hotel Palazzo Zichy. 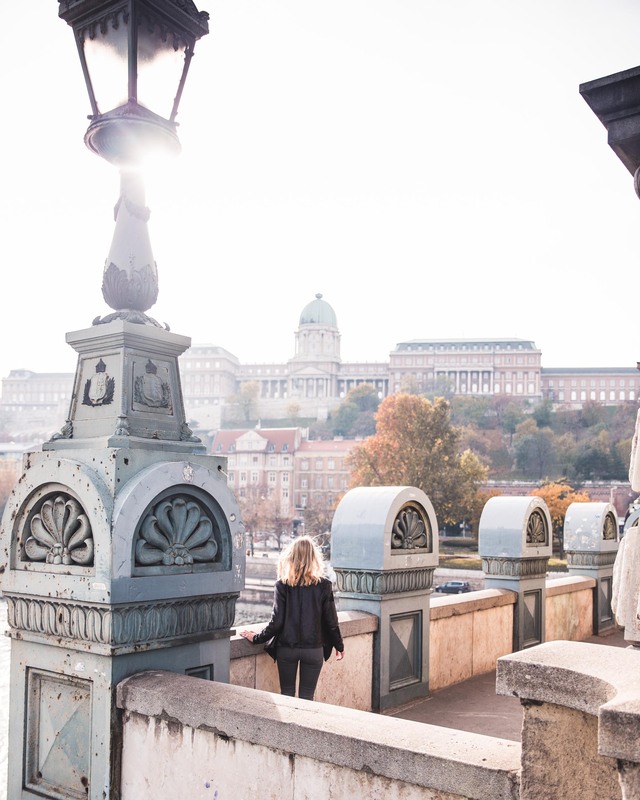 Hotel Moments Budapest – if you’re looking to shop, this boutique hotel situated on Budapest’s famous Andrássy boulevard is the one for you. 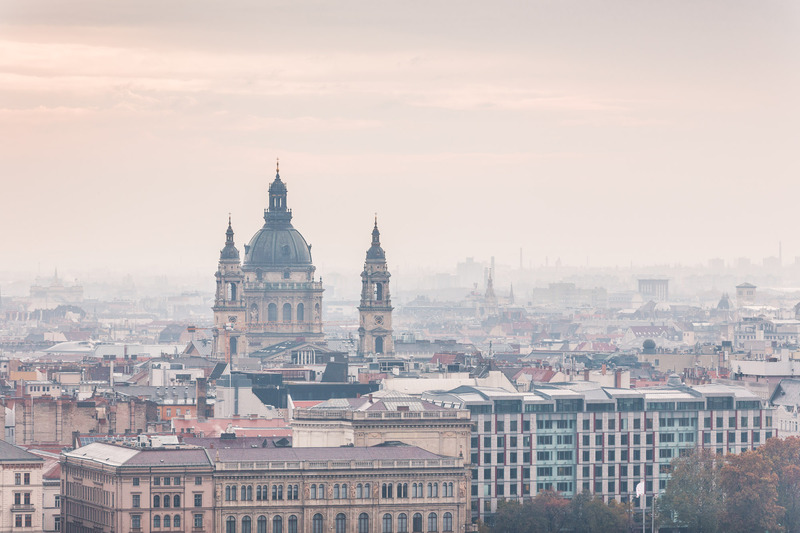 It’s also less than a 5 minute walk from some of the city’s most famous buildings, like St Stephen’s Basilica. Danubius Hotel Astoria – you’ll feel like you’ve stepped back in time in this old-world hotel, from the chandeliers to the marble columns and vintage chairs. This historic hotel should be high up on your list if you want to experience a historic property in the city. Aria Hotel – if you are looking for luxury and convenience, look no further. 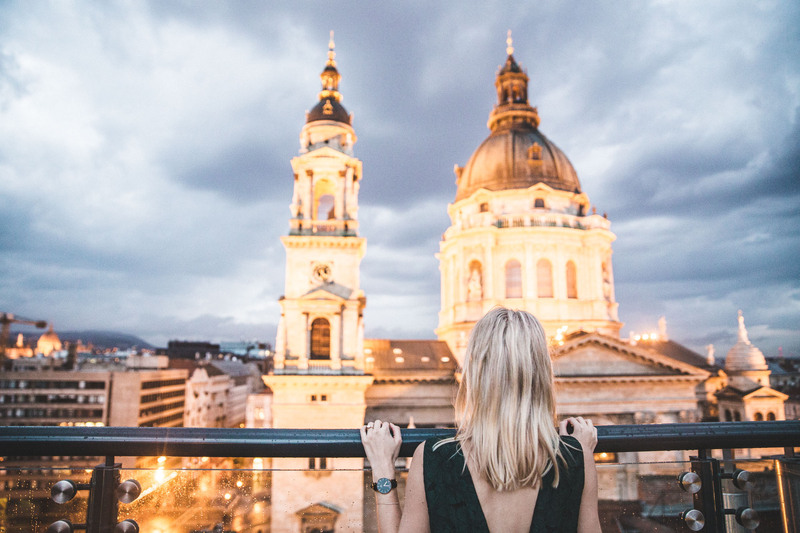 The musically inspired Aria Hotel is situated within the old town of Pest (Buda and Pest together make up what we know as Budapest), and has one of the most incredible views of the city. Rooftop views of St Stephen’s Basilica from the Aria Hotel Budapest. Airbnb – there are plenty of options to explore the city on a budget. My tip if you have the time: spend a few nights on the Buda side of town, then switch to Pest! Here’s $40 off your first Airbnb booking. Két Szerecsen – this cozy café has the most amazing tapas. A clear winner is their buttery garlic shrimp. Pest-Buda Bistro – I suggest trying the classic Hungarian dish “Paprika Chicken” here. It’s so tasty. New York Café – this lavish restaurant is an experience on its own, and perfect for a leisurely meal amongst beautiful architecture. 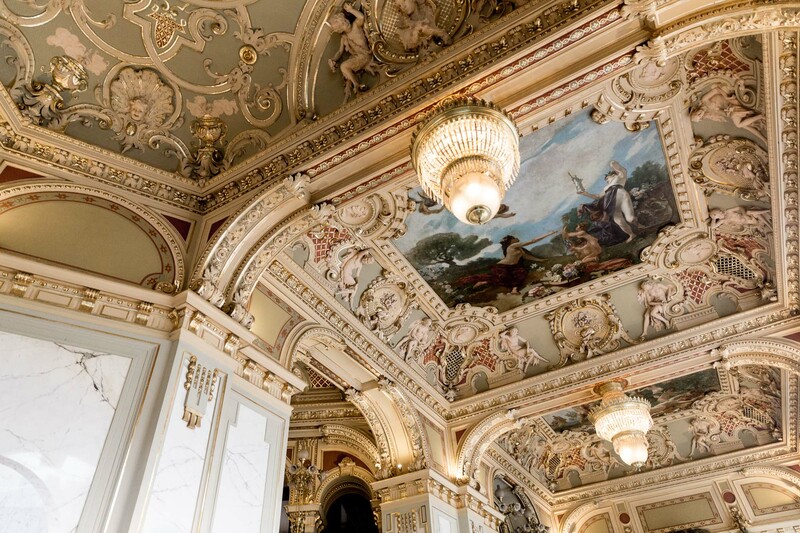 The ceiling inside New York Cafe in Budapest. Noir ChocoBar – craving something sweet? This chocolate bar serves up the most decadent and unique desserts, including lavender hot chocolate and chili ginger chocolate fondue. ToLTo – if you are looking for something classic with a unique spin, don’t miss Tolto. Their sausages (yes, sausages!) are works of art. 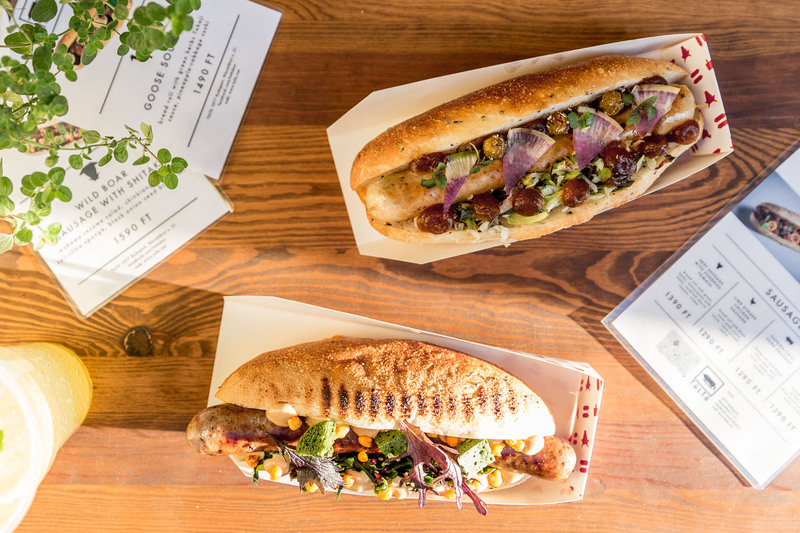 Hungarian sausages for lunch at ToLTo. Kürtőskalács Food Stands – don’t miss a classic Chimney Cake if you’re visiting during the colder months – look for a stand with a line so you know they are being made fresh! Ruin Pubs – Budapest is known for its Ruin Pubs, old tenement houses and factory buildings converted into bars (which started happening in the 21st century). Try Ellato Kert Taqueria or Szimpla Kert for a fun night out. Jonas Sorhaz – This is the spot for craft beers, views, and outdoor seating on a sunny day. 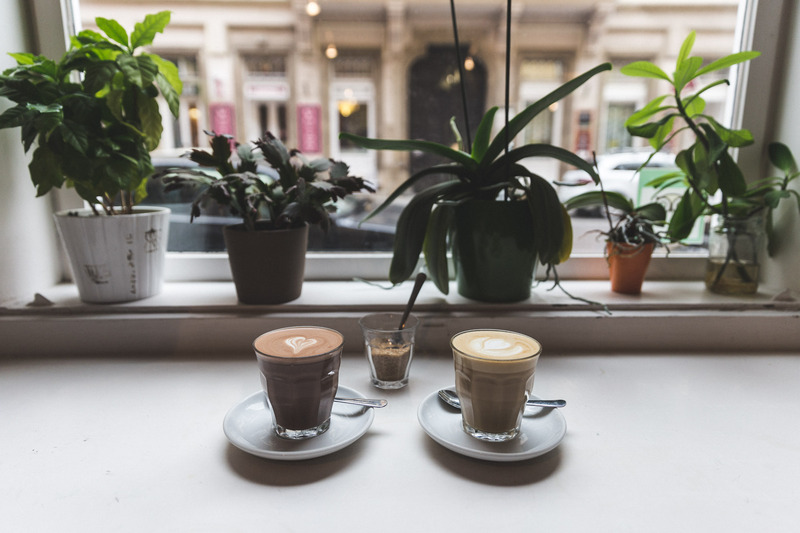 Espresso Embassy – this cozy cafe serves the best coffee in town and is a locals’ favorite. Lattes and hot chocolate at Espresso Embassy. 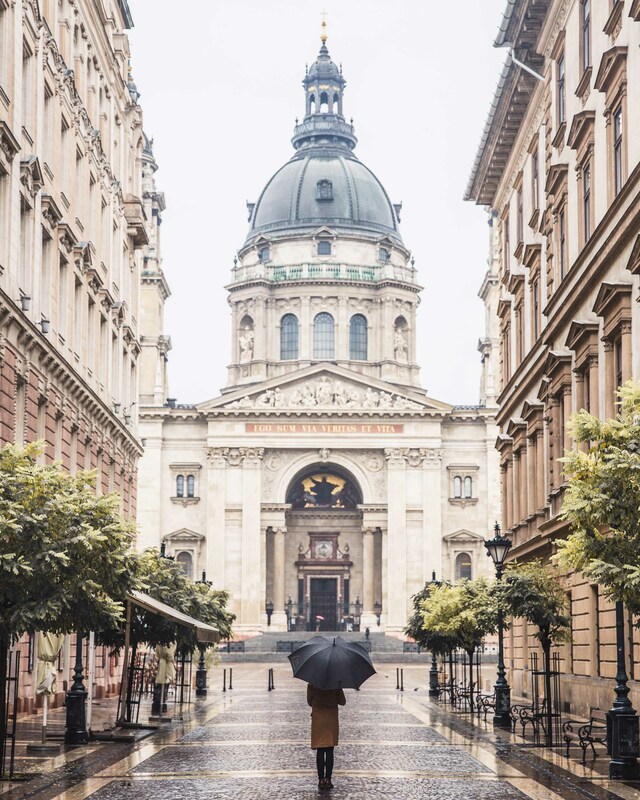 Andrassy Avenue – this avenue features the big brands as well as some smaller boutiques once you venture down the side streets. Váci Utca – the most famous shopping street in Budapest is great for an afternoon stroll and a bite to eat. 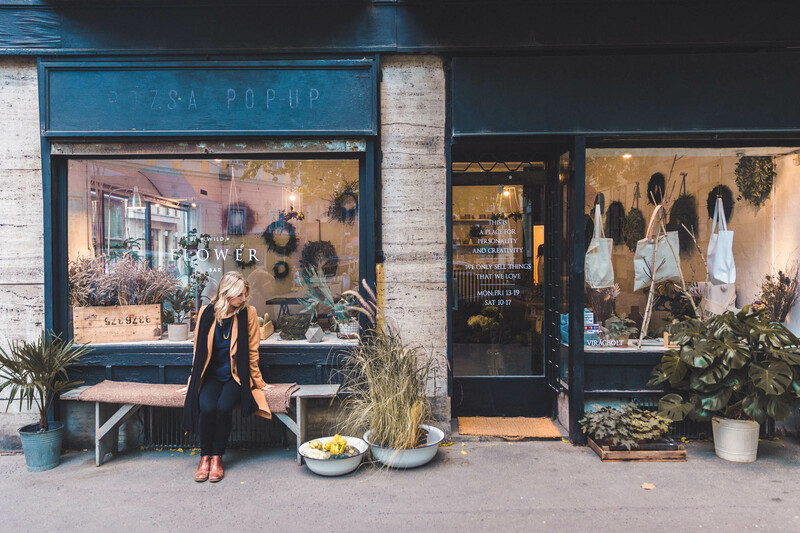 One of the many picturesque pop-up shops in Budapest. Central Market Hall – this indoor market hall features local produce, food stalls, souvenirs, gifts and more. St Stephen’s Basilica – this grand church is located in the central part of town and often hosts concerts. The Parliament Building – it’s worth viewing this incredible structure from across the Danube River and also getting up close to admire the details. St Stephen’s Basilica in the rain. The Parliament building from Fisherman’s Bastion. 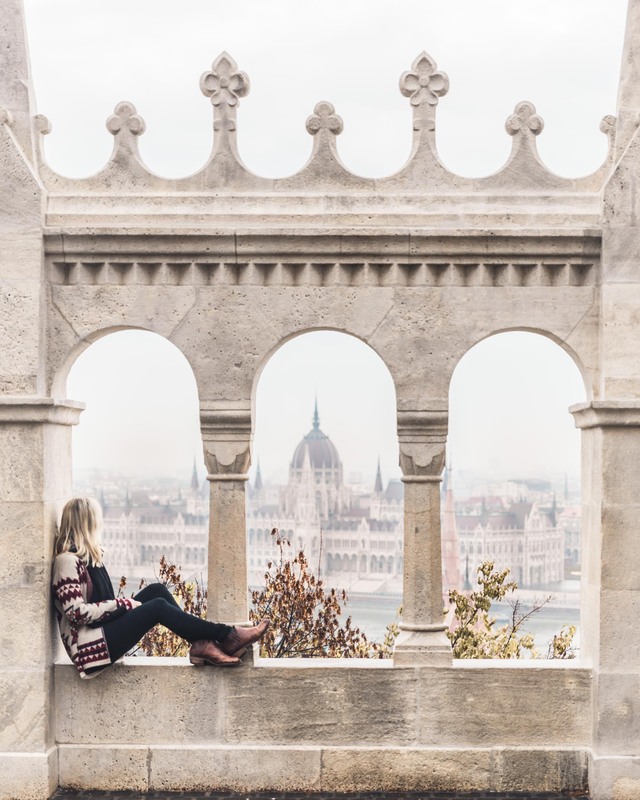 Fisherman’s Bastion – this is a great spot for city views. Go in the morning or at sunset and you can likely walk the walls free of charge. Fisherman’s Bastion in the early morning. Browse the Budapest History Museum. 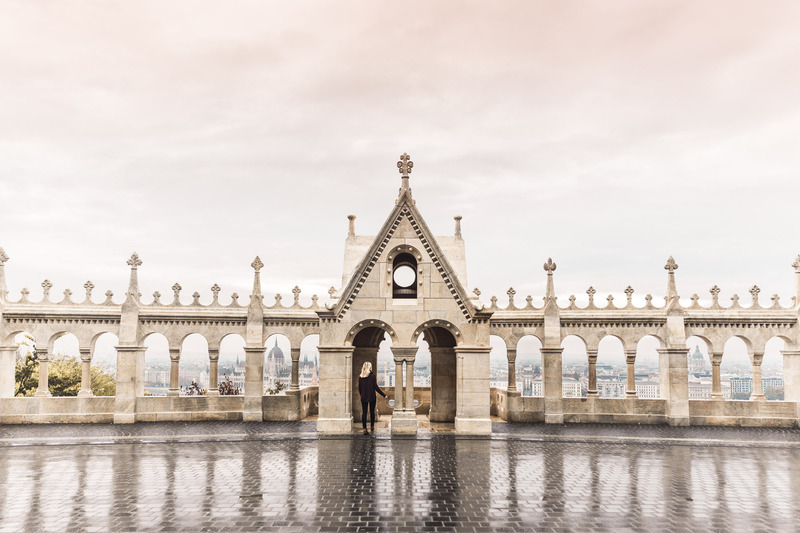 This museum is located within Buda Castle and perched overlooking the city. Take the funicular up and explore the works of art – some are massive! Visit a bathhouse. 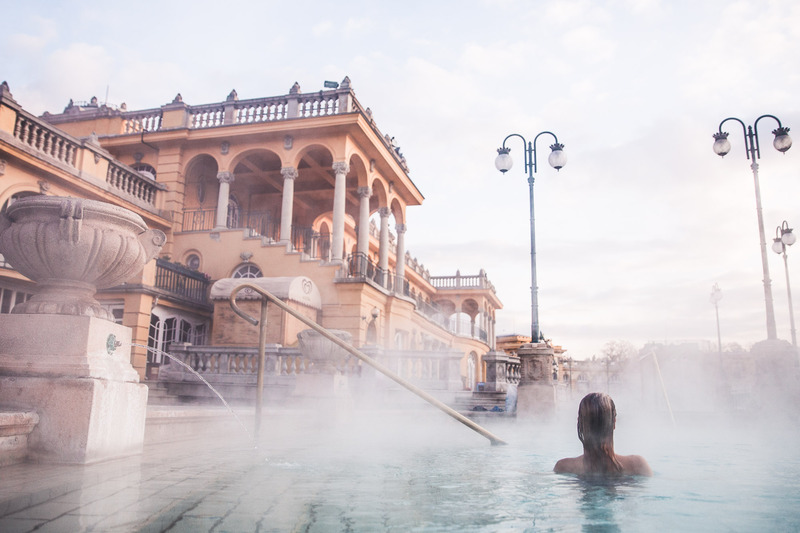 I suggest going in the morning (before the crowds) to the grand outdoor baths at Szechenyi. 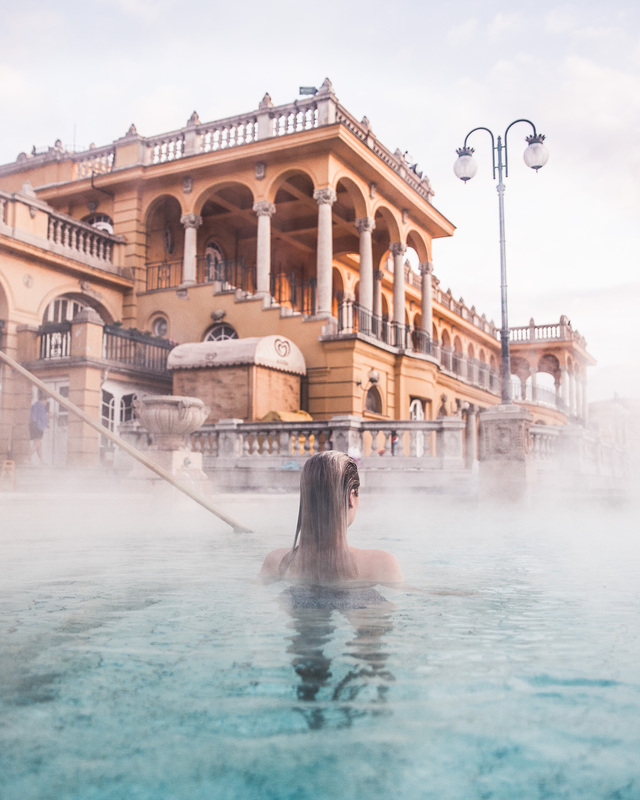 A morning dip at the Széchenyi Thermal Baths. Get a spa treatment. The bathhouses have a variety of services. 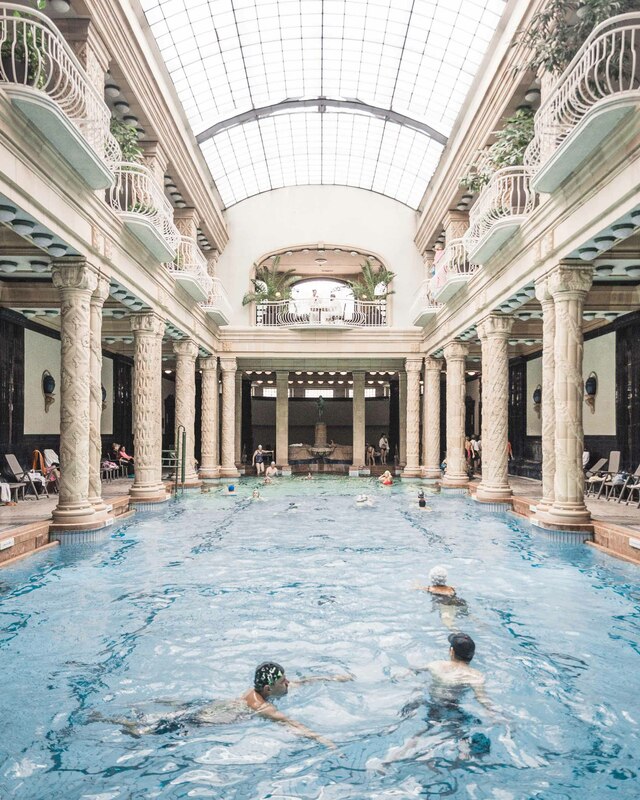 I recommend trying a massage or treatment at Gellert Baths or Szent Lukács Baths. Take a TukTuk ride. This is a great way to see the city as TukTuks can enter side streets that trams or cars simply can’t. It’s also a perfect rainy day activity! The indoor pool at Gellert Baths. Viewing the parliament building from our Tuk Tuk. Besides a visit to the Széchenyi thermal spa (a must, if you don’t go right at sunrise to beat the crowds this ticket is worth it), I’d recommend going on a cruise down the Danube river. We regretted missing a boat trip during our visit, and I would’ve loved to see Budapest from this angle! The Parliament building tour will also allow you to explore one of the most beautiful buildings first-hand. I was fascinated with the scale of the parliament building. A warm jacket. 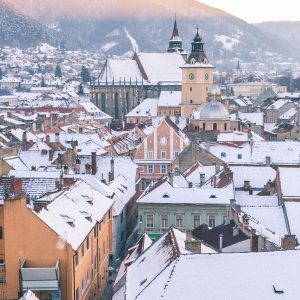 The weather in Budapest can get chilly in the colder months. A swimsuit. 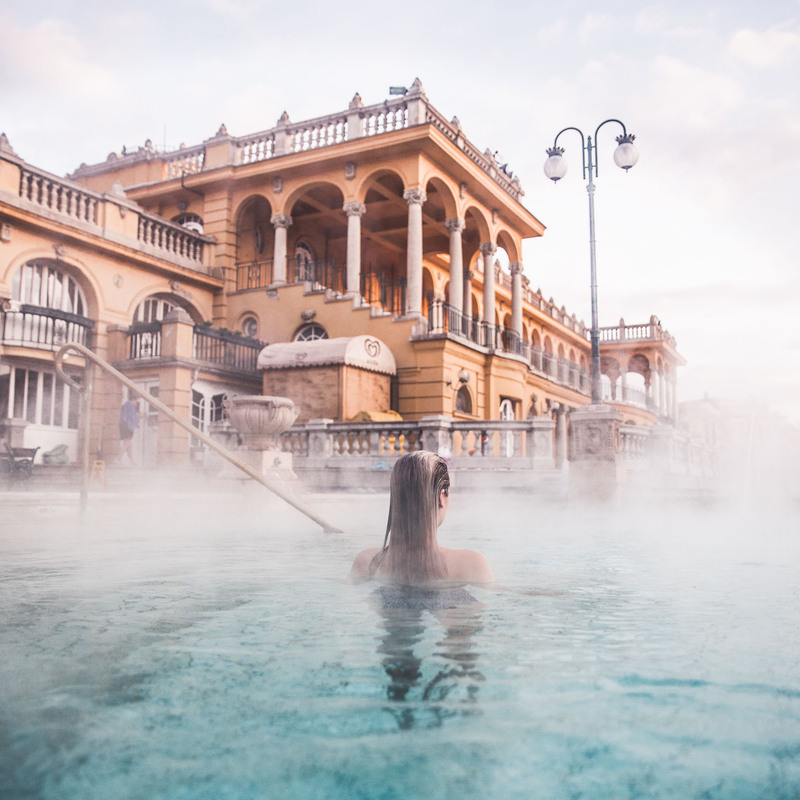 You really can’t miss the thermal baths! A public transport card. The tourism office offers city cards which provide unlimited use of public transportation (very useful in Budapest!) and additional discounts on some of the places I mention above. Views of the Danube River from Elizabeth Bridge. You won’t run out of things to see here – every street in this magical city is fascinating. I hope I’ve convinced you to visit soon! 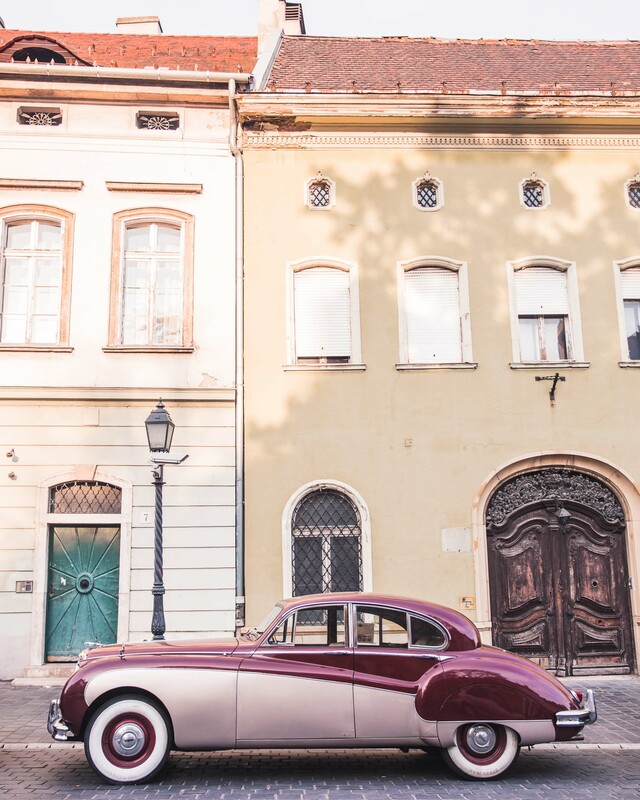 What’s your favorite city for beautiful European architecture and sights? Let us know in the comments below! Thanks for sharing your tips, sounds amazing! I visited Budapest when I was a kid but cannot remember much. What a shame I didn’t manage to visit it again since then, especially because it’s so close (only 200km) to my home. It’s definitely on my list for 2017 now! Greetings from Slovakia! So glad to hear that! 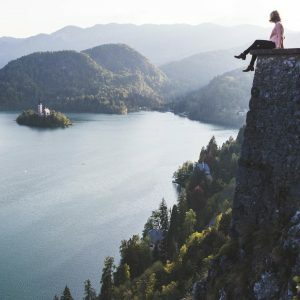 Slovakia is on my list, I’m hoping to visit it soon. Thanks for reading! Those foggy photos are fantastic! Thanks for adding great new spots to me Budapest list ???????? This is Murad Hasan From Bangladesh. After a long time, I am reading travel guide blog to got spends my time. Although I know maybe it is impossible to go Budapest with me. But after see all the images and body, I seem to go to Budapest. Don’t know it is possible or not at all. But you can visit my country. Bangladesh is a small country but very comfortable for travel. Will be Budapest in October this year and I cannot wait to visit the city, thank you for your guide! So glad you like it! 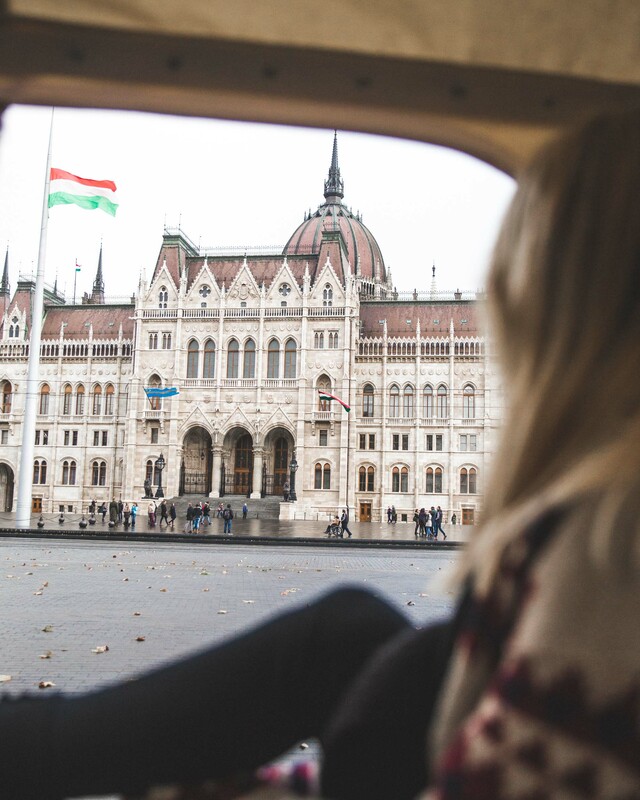 Enjoy – Budapest has so much to offer, I would go back in a heartbeat. I like this post so much! Your pictures are beautiful! 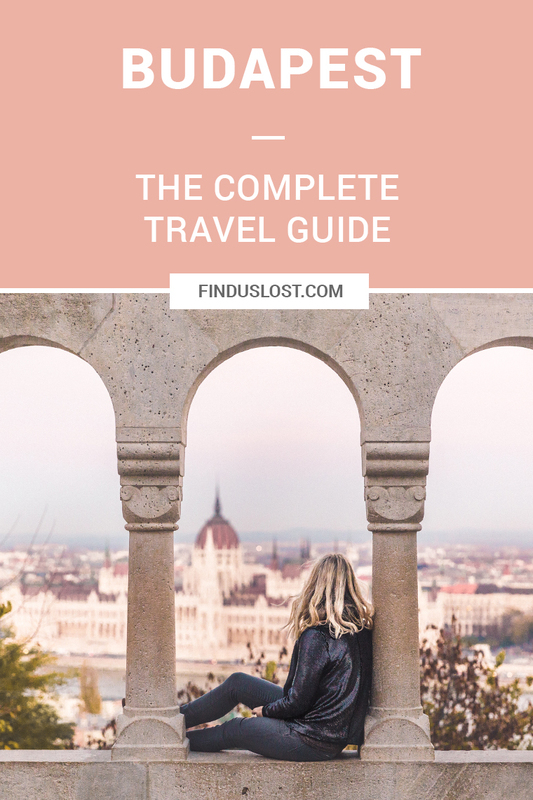 Thank you for your handy guide to Budapest! We definitely used it when planning our recent trip there. I love all your pictures. Such a beautiful city with so much to do! 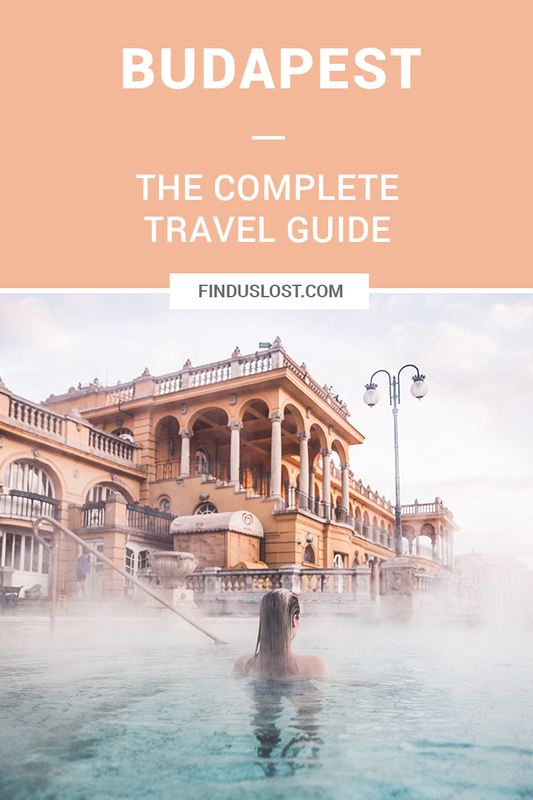 Currently planning my Budapest trip for next week and this really helps! 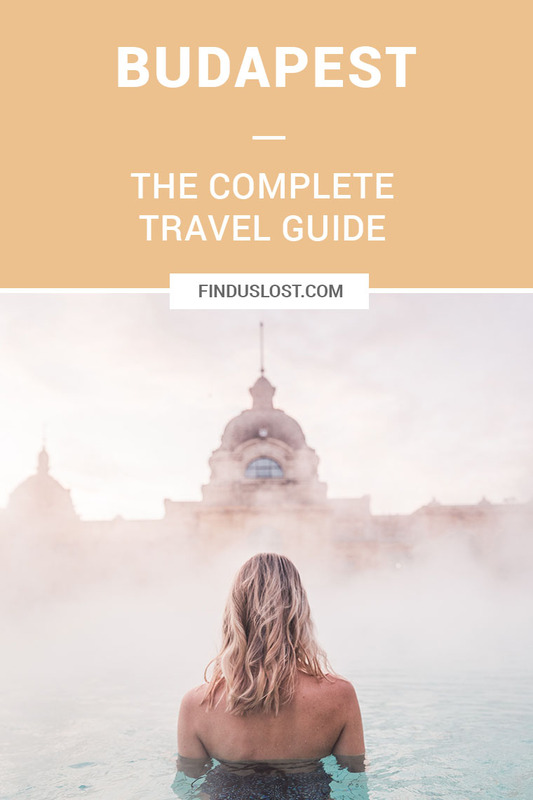 Thank you so much for a wonderful Budapest travel guide! Thank you Mio! 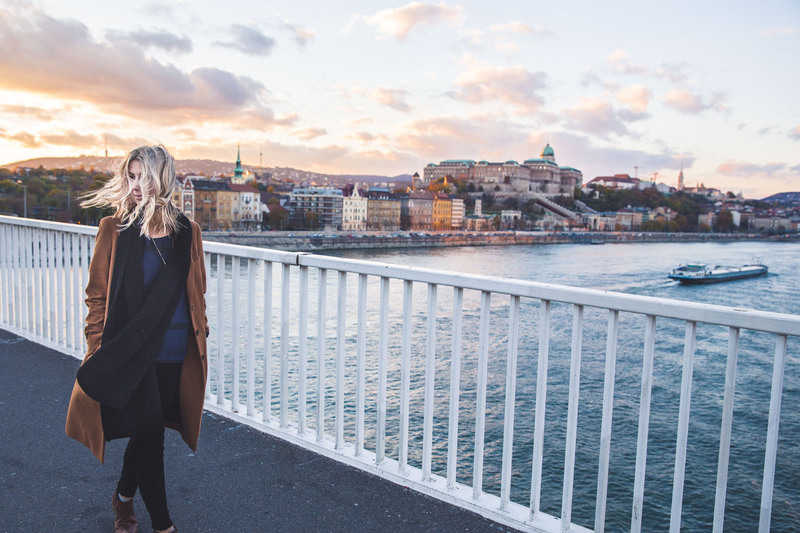 Excited for you — Budapest is just beautiful, such a great city to explore. We went around the same time of year as you. Have the best trip! Hi! Did you go in December? We are looking to go this February and are wondering if we will have a comparable experience. We went in November. We didn’t see snow since it was late fall, but I imagine you might get some if you’re visiting in February! So excited for you! Love to hear that, thank you 🙂 have the BEST time!